A slice of urgently needed Cultivate fund raising then. 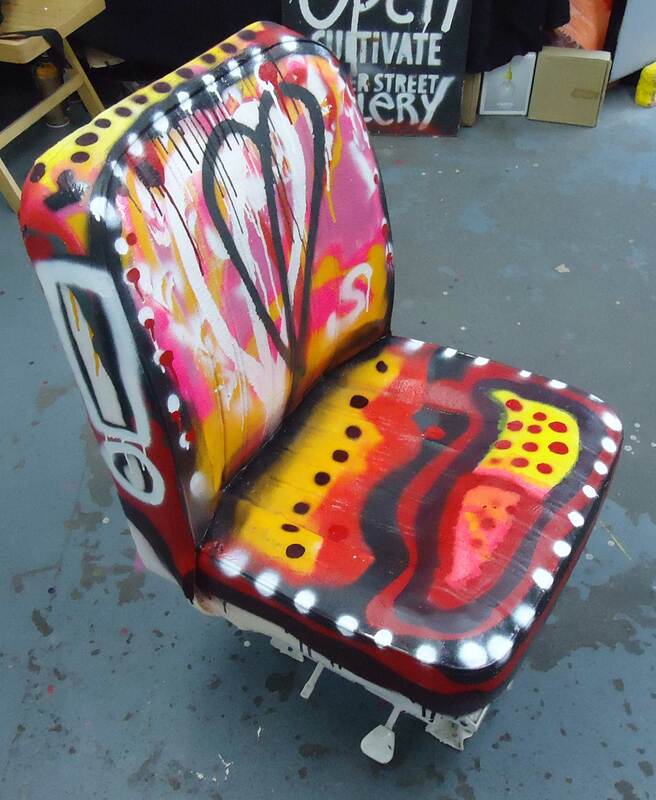 The taxi driver’s seat that was painted in the gallery, by me (Sean Worrall), could now be yours for just 1p, well that’s how much it is right now over on Ebay. The auction runs for seven days and ends on Tuesday 12th November. 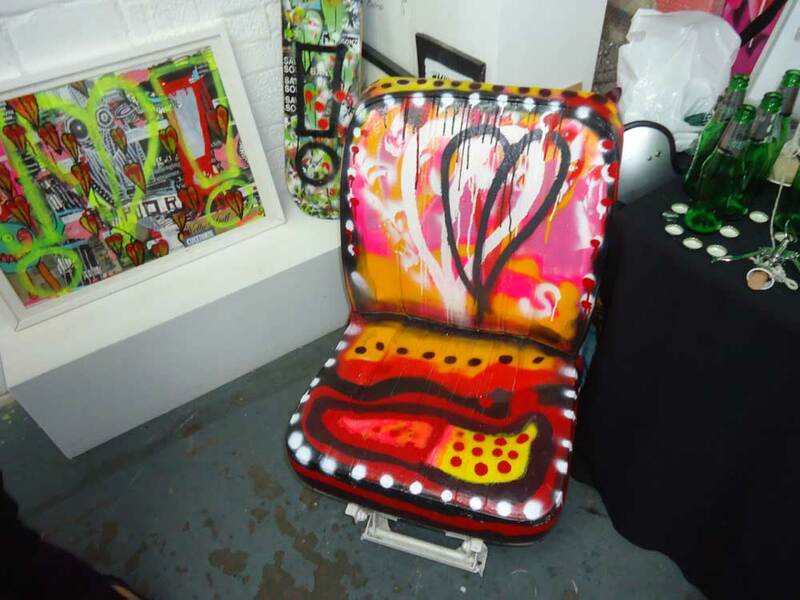 We got rent bills to pay so watch this space for more auctions…. 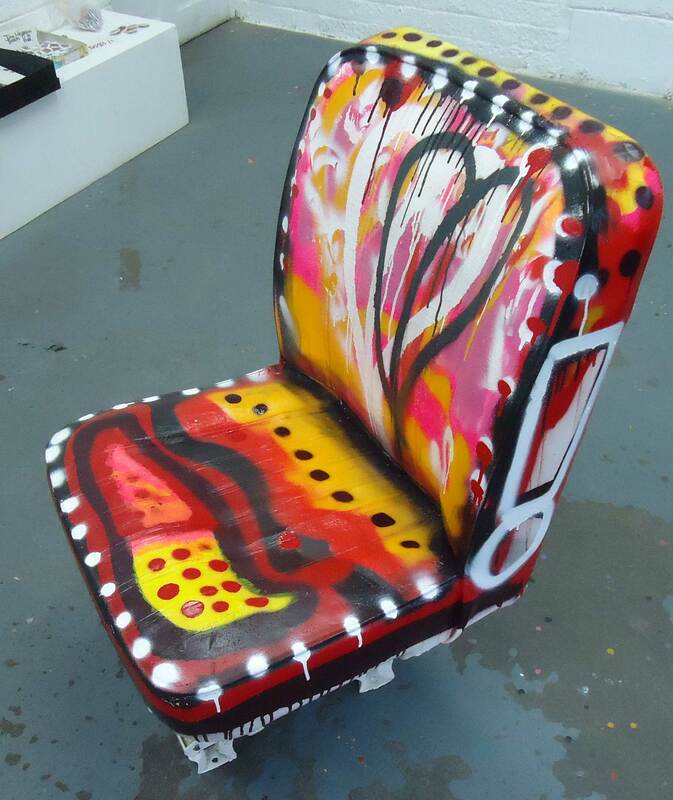 Before you bid, please be aware that you will need to pick this piece up from the gallery yourself.